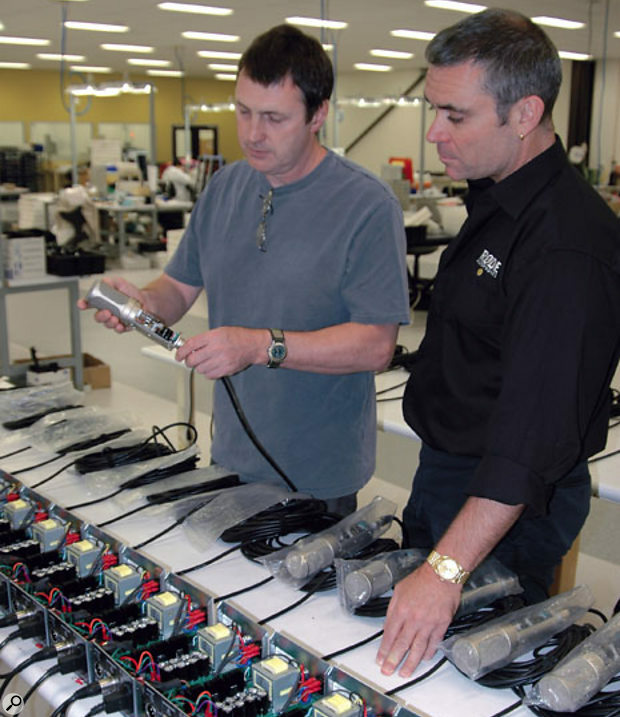 SOS Editor In Chief Paul White and Peter Freedman of Rode checking out mics being tested at the Rode factory in Sydney. Rode microphones are well known throughout the recording world, but a lot has changed since the company started out in business by teaming Chinese capsules with Australian electronics. Today, all Rode manufacturing takes place in Australia, the majority of it within Rode's own factory located in Sweetwater, a suburb of Sydney. Rode's founder and Managing Director Peter Freedman was kind enough to give me a detailed tour of his facility, and he told me something of the background to the company as we went. "My father was an audio engineer; he designed products for companies in Sweden, and moved to Australia in 1966," explained Peter. "Electronics was always his hobby, so I was born into that environment, helping out with servicing and doing PA for bands." During the 1980s, Peter picked up a sample of a cheap Chinese capacitor microphone, but didn't entertain the idea of marketing it until the home recording boom really took off in Australia on the back of the ADAT revolution in the early 1990s. He subsequently tested the mic and discovered that although the circuitry was noisy and unreliable, the capsule and the housing were basically OK. By designing a new circuit board for the microphone and using decent components, he was able to create what was then a very respectable microphone at a very low cost. At around this time, Peter met up with Englishman Colin Hill, who agreed to try to market the mic and they remember thinking that if they could sell 50 a month, they'd be on to a good thing! Peter and Colin took the mic around various outlets, including several in the USA, and sales were soon exceeding all of their expectations. "I managed to sell our new, improved model to a music store out there — and if you can sell stuff in America, you can sell it anywhere. At that time, we were buying the bodies and capsules from China and doing all our own electronics. We'd bring in capsules in bulk and about half would pass our quality control; the rest would be sent back. "The NT1 we sold worldwide was made with a Chinese capsule, but we built the body and electronics in Australia. It was the same with the Classic mic — the body was entirely made in Australia, and that was the beginning of our metalworking manufacture with a partner company in Mudgee [a town a few hours' drive from Sydney — Ed]. We also looked at the way the capsules were made, and worked with our Chinese partner to improve the design. In this way, we built up quite a large line of microphones exclusive to us." 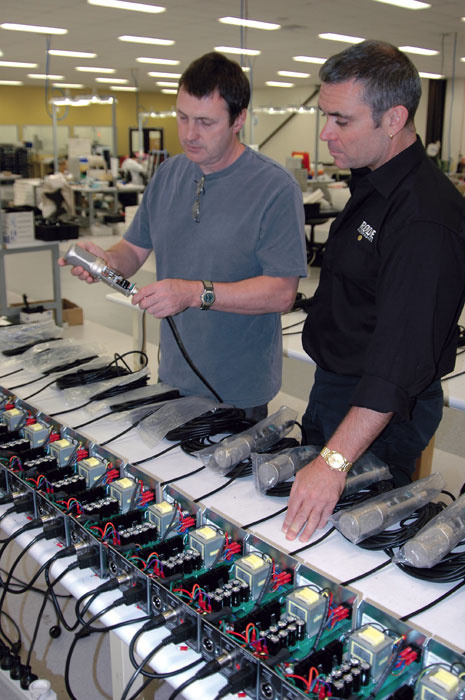 As you would expect from a professional mic company, Rode mics and their constituent parts undergo extensive testing at various stages of their construction, as Peter Freedman explains. "We test all the way through trying to weed out any potential problems. While it's a costly thing to do in one way, it's cheap in another, as our failure rate is now so low. It starts with the raw materials — everything is tested and batch-tested for quality under the microscope. 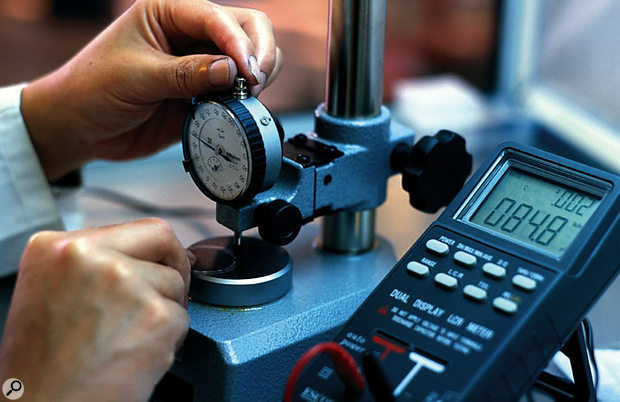 Because we have the test equipment, we can check components from different sources to find out what works best. If you don't have that facility and the knowledge, you have to go and buy guaranteed branded components, which may cost a lot more. If you buy only big-name parts when you don't need to, then obviously the price will be higher." The capsule is next. According to Peter, since the company switched over from using Chinese capsules, the rejection rate has fallen from around 50 percent to less than three percent. Rather than test the capsules in a foam-lined box, Rode capsules are tested in free space using a window analyser, which takes a measurement before any reflections from the walls or floors can get back to the microphone. This, in effect, creates a virtual anechoic test environment down to around 150Hz, and Rode's engineers have found through research in university anechoic chambers that if the microphone capsule measures correctly above 150Hz, it will be in spec below that figure. "Each capsule is tested before it goes on to a microphone, both acoustically and electronically. We test for sensitivity, and the 180-degree off-axis plot also tells you a lot, so we check that too. For the frequency response, we have a plus/minus limit outside which they fail, but because of the machining tolerances, failures are now very rare. We also do a 24-hour soak test, because the chances are that if a component is going to fail, it's going to fail within the first 24 hours." As if that weren't enough, the finished mic is also tested. "When the tested PCBs and capsules are mated together, they are retested — but we also listen to every mic, because you can't always pick up rattles or crackles with test gear. Once you've done all that, everything that goes out is pretty good." Within a few years, a number of companies discovered that they could buy in Chinese microphones to resell in Europe and the USA, and Peter had to raise his game to stay ahead. He soon realised that to improve the quality significantly above that of the competition, he'd have to bring the manufacturing to Australia. Chinese microphones were (and still are) relatively cheap because of the low labour costs in that country, so to compete in Australia, where labour is considerably more costly, Peter needed to invest in expensive automated machinery that could make the necessary high-precision parts in high quantities, quickly and to a greater degree of accuracy than Chinese hand-made parts. "There is no book you can buy that will teach you how to make capsules, and nobody will show you. Instead, we had to spend a few million bucks on the machines, work from what we already knew, and from there it was trial and error. Fortunately, we had access to some very good physicists! "I don't think we're talking about new capsules being so much better than they were in, say, an old U47 — some of those old mics sounded fantastic, but not all of them did. Now we have the consistency and the quality, but at a low cost. There was little point in building similar products at a similar price to those being made in China, so Peter set out to built mid-priced microphones offering high-end specifications, and to date, his strategy seems to have paid off. "Anybody can make a good mic by spending a lot of money on the best parts. There's no magic in that, but if you can pull out an incredibly good mic at a low cost, that's something. That's what we do, and the only way to do that is to produce in volume." The last Rode microphone to use a Chinese capsule was the NT2, recently discontinued in favour of the new NT2A, which is a completely different microphone rather than a revised design. Today, the only parts imported from China are the shockmounts for some of the cheaper microphones, and even these have new parts fitted to them to improve their performance. Rode have been in their current Sweetwater premises for around 18 months, and although it has been fully functional for some time, some new and highly advanced computerised metalworking machinery was arriving at the time of my visit. "When I first started looking at making our own capsules, I didn't have any machinery, and I got a quote back for $1000 for making just two backplates. Then I asked how much it would be for 50, and they told me it wouldn't really cost any more, because the cost is in setting up the machines. Back when microphones were produced in low qualities, it cost insane money to get good parts, but now we have a high-volume market, so the price can come down. "Now all the critical stuff is done with machines — the rest is just assembly. I don't want manufacturing by personal interpretation, where you may have one good capsule-assembly person; I want every mic to come out the same. That's why we use high-precision finishing machines and nine-axis computer-controlled metal lathes — CNC machines, as they're known — instead of hand labour. If I walk out onto the factory floor and I'm looking at two people working full time, every day, every year, just doing a process, I try to think of a way to do it with less labour. The final assembly of the one-inch capsules and the fitting of some large electronic components still have to be done by hand, but I'm looking at getting some through-hole insertion machines which will reduce the number of components that have to be hand-fitted." The best way to find out how a Rode microphone goes together is to follow the production process, so Peter gave me a full tour of the facilities, although he declined to explain some of his new processes, as he didn't want to give away any of his ideas to his competitors! "Today we have around 50 people in the company, with our own video and graphic design departments, and six people on full-time R&D. I'm involved in that as well; I come up with the concepts for the products, and the R&D guys come up with the way to do it. Initially, I don't think about price — I just look at whether we can make it work or not! Once it does, I have to think about whether we can sell it." 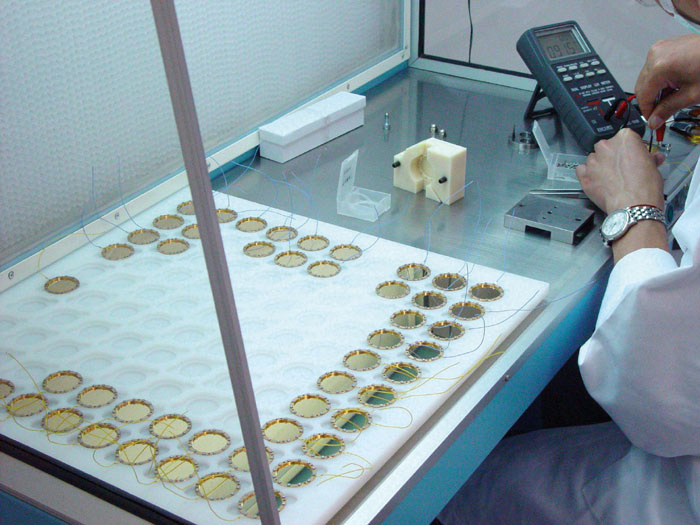 The mic-manufacturing process starts with the mic capsules. 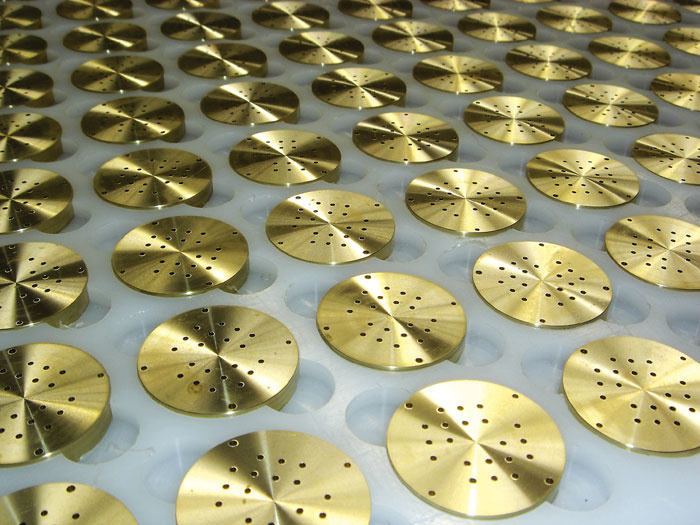 The all-important diaphragm backplates (shown above) are machined and drilled using the CNC machines, and when you examine one of these parts, you see that there are around 50 precision-drilled holes that form part of the acoustic system of the microphone. According to Peter, some Asian microphone manufacturers still use manual labour to drill these holes by hand, which seems incredible given how tiny and precisely spaced these holes are. Next, a special insulating plastic is formed around the edge of the backplate in a high-pressure moulding machine, after which the backplate is 'lapped' to a precise thickness in a British machine that can process several backplates at one time. The lapping process essentially grinds the backplate between two flat surfaces using a fine abrasive paste to achieve the desired thickness and finish. A second, larger lapping machine was just being installed as I visited to cope with the increased demand. Backplates on Rode's lapping machine after grinding. Rode's production microphones typically use six-micron, gold-evaporated mylar diaphragms, but the company also has a sputtering room where prototype diaphragms or small runs can be manufactured. 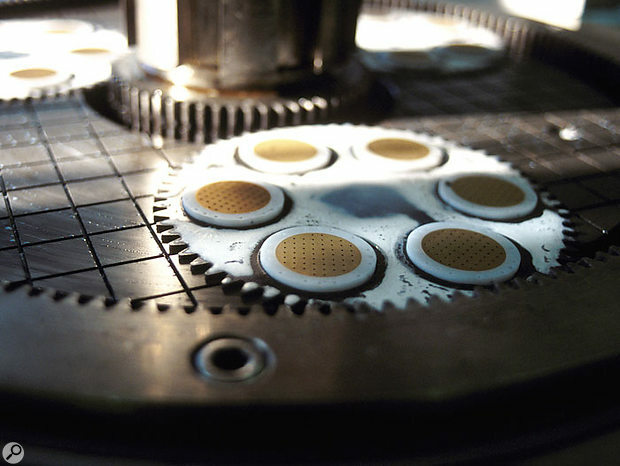 The gold-evaporated film is then tensioned before being fixed to rings prior to the capsule assembly, but Peter didn't want to show details of this part of the process, as Rode have found new ways to tension and age the mylar that improves both the precision and speed of manufacture. "As we have our own machines, I can try out these new ideas. Even though you know all the parameters, you might want to try a capsule using, for example, very thin mylar. Going to thinner mylar doesn't actually seem to make much of a difference, but you have to have the ability to try these things. I don't like to accept what I'm told at face value — I want to hear the difference for myself. That's why we have our own sputtering lab." Capsule assembly takes place in a pressurised Clean Room. The room is sealed off from the outside world with HEPA (High Efficiency Particulate Air) filters, which let no particles larger than a third of a micron through, and are used in nuclear power stations to prevent radioactive contamination. Being rather larger than a third of a micron in size, I wasn't allowed to enter, but I was able to watch through the glass wall! A typical Rode capsule has a 20-micron spacing between the diaphragm and the backplate, and even with the high maximum SPL these mics are designed to handle, the diaphragm moves less than one micron. The only way to get the diaphragm to hit the backplate is to subject the capsule to a strong gust of air, which is why it is imperative to use all capacitor microphones with a pop shield when recording vocals. Capsule assembly in the Clean Room. While the capsules are being made and tested in one part of the factory, the microphone circuit boards are being built in another using high-speed automatic-placement surface-mounting machines where the components arrive on bandoliers that look like spools of cine film (see the picture on the next page). A flux paste is screened on to the boards, which also holds the components once they are placed, then the whole board passes through an oven to solder the joints. Each board actually comprises multiple identical mic preamps with slots milled between them to allow them to be separated easily after assembly. Custom microprocessor 'bed of nails' test jigs are used to test the performance of each board, including noise specs, prior to assembly. Afterwards, each mic is burnt in for 24 hours and then retested, including a critical listening test. And all this is just part of Rode's extensive testing regime (see the 'Rode Test' box ). The automated component-placement machines used to manufacture the electronics boards for the mics. According to Peter, the use of selected components, careful electronic design and surface-mount technology is what enables Rode to offer such impressively low noise levels, which he claims are 10dB or more better than those of their competitors in many cases. The use of surface-mount technology also eliminates a lot of wiring, and although some hand-wiring is still required to link the capsule to the circuit board, when you compare the inside of a Rode mic to that of a typical Asian microphone, there is indeed much less wiring, and the overall standard of assembly is also much neater. Apparently, much care is taken at the design stage to ensure that the metal parts of the microphone don't 'ring' and that the basket doesn't adversely affect the sound of the capsule within it. Many otherwise adequate microphones have been compromised by the housings used to protect them, which is why Rode tend to use solid metal mic bodies, either machined from solid metal or cast and then machined. Even the baskets are produced using custom presses that form both the inner and outer meshes in a single operation. The mesh is then fitted to channels in the rest of the metalwork using a high-performance adhesive. "Some of the bodywork, such as for the NT5s, is made here on computer lathes, while the larger Classics and NT1s are made by the company in Mudgee. Some of the baskets are made here too, and I have some ideas for smaller mics that we'll also be able to manufacture here. With these new machines, you can do some amazing stuff because they can mill, drill, turn and pick up, all in one operation. A bar goes in at one end, and this incredible piece of engineering comes out of the other." Throughout my visit, Peter kept stressing the need to manufacture in quantity, so I was curious to find out how large the batches were that are run through production. After all, there aren't enough machines to make all the mic models all the time, so the production line must need to be switched from one model to another as required. He explained: "At the moment, we run two or three thousand of a particular model, after which we have to change the tools, set up the machines and change the CNC programs for the next model. 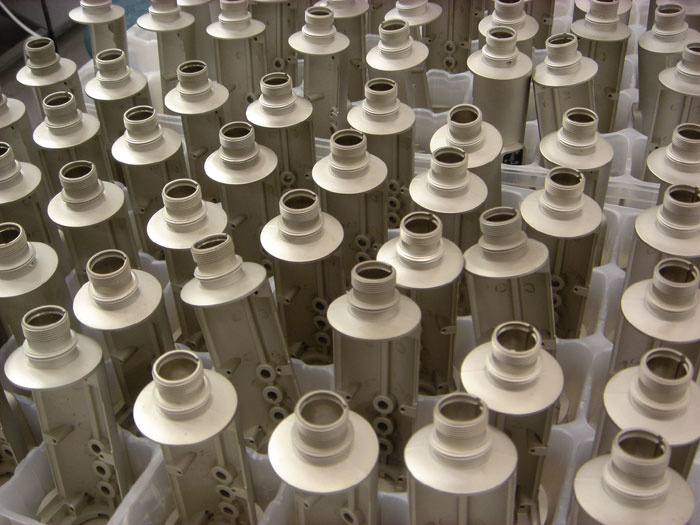 NT2A mic bodies prior to assembly. 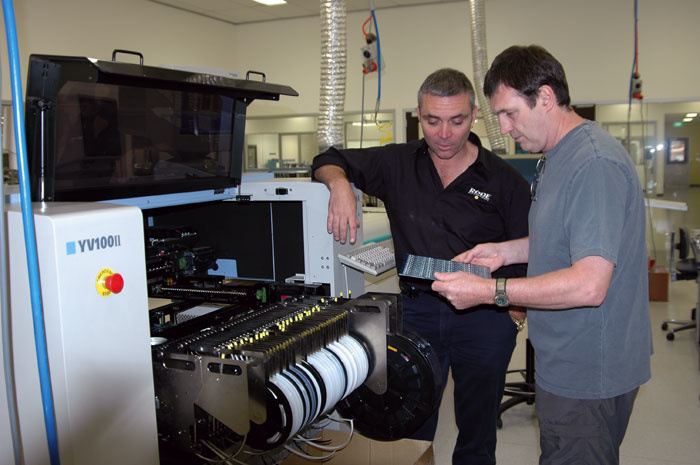 "However, for some of the products we're looking at, we envisage runs of 50,000 or even 100,000, because it's much more competitive to set up the machine once and then run it for three shifts. Do that for a couple of weeks and you're done for maybe a year's production on that model." Now that Rode has a comprehensive range of studio microphones, the company is turning its attention to other areas. They now have a hand-held capacitor vocal mic for live use, and last year they developed a low-cost, high-performance short shotgun mic with integral shockmount for use with camcorders. Sales of this microphone have already exceeded expectations, so I'd be very surprised if we didn't see more live sound and audio/visual products joining the Rode line soon. Peter Freedman: "We haven't yet covered the live or broadcast markets fully, we haven't done installed sound, and I have a few more things up my sleeve on the recording and location sides. I also have some more ideas on stereo mics, but when it comes to large-diaphragm studio mics, I think we have the definitive line out there now." Beyond the widening of the product line, there are also those new machines and continuing changes to the factory and production process. At a time when many companies are outsourcing more and more of their manufacturing processes to third parties, Rode seem to be going in the opposite direction, and Peter says this trend is likely to continue. "We will almost certainly bring the plastic injection-moulding in house — there are now some seriously sophisticated machines for just a few hundred thousand dollars. And we already have our own toolmaker, which saves a fortune in tooling costs. There are people who visit the factory and comment that it reminds them of the old vertically integrated setups of years ago. Some business people might think this is wrong. They think you should stick to what you're strong at; I think that you should have all your machinery under your control. But if the company was run by accountants, I'm sure it would look very different. We're enthusiasts — and in five years, we want to be world-beaters, the biggest in the industry."